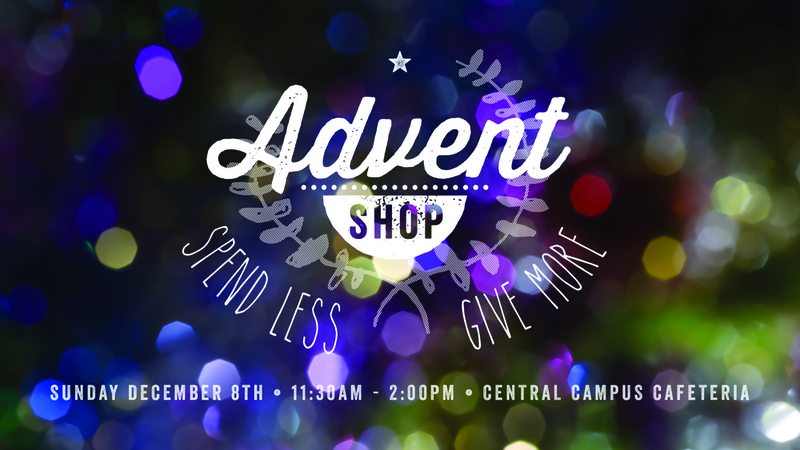 This Christmas, The Gateway Church is hosting its second annual Advent Shop to help individuals purchase and create gifts that will inspire and make an impact. Gifts will range from locally made, justice oriented, socially conscious, and handmade goods with proceeds going to global ministry partners such as ENLACE, IJM, Beza Threads, Deep Green Project, and more! Deepgreen Threads is a knitting business that provides work for women in our community in China who have suffered injustice. Our desire is to see these women empowered to grow professionally, personally and spiritually. Goods: hand knit products including scarves, hats & bracelets. I made the bracelets and Iowa magnets for myself and my close friends. Soon after people started seeing them and they started asking me to make them so they can give away as gifts. I've been having fun making them ever since! Goods: Handmade bracelets and necklaces made with nylon or suede, brass and metal hex nuts and washers. Great for that rough, industrial look with any outfit! Hand sewn Iowa felt magnets. Super cute on any refrigerator, desk or filing cabinet! Contact: linda.luong09@gmail.com. You can also find the bracelets and necklaces at MintLA in the West Glen Town Center. A little over a year ago I discovered I could sew! As the proud Momma to two boys, I offer boys and girls creations both! I create kitchy pieces from vintage fabric and objects. My ornaments and magnets are tiny little dioramas or shadow boxes full of weirdness. Festive and charming paper goods to raise money for my mission trip with The Gateway Church/ENLACE El Salvador in February 2014. We used to live in Burma and came to America as refugees. We love to make scarves and by selling them we can have an income source and share our gift. Our family, through Children's Hopechest, help provide food, education and medical care for 400 orphans in Uganda. Caeden and Ashton are selling these crafts to raise money to visit the kids they are supporting! Goods: Hand painted canvases and handmade bracelets by Caeden who is 7 and Ashton who is 5. Proceeds from these goods go towards medical expenses for orphans and vulnerable children in Uganda, Swaziland, Ethiopia and India in the Children's Hope Chest Program. They were handmade by artesian in these countries and they also help these artist provide for their families! ROD+RIVET is a website for the outdoorsman with a focus on Iowa and fly fishing. I have a passion for reading to children and telling them about the amazing love that God has for them. I teach children, through my book, important spiritual truths that are a part of their everyday lives. Goods: A children's picture book called, God's Great Big Love. Contact: To contact me or get a signed copy of the book, please e-mail me at brianandmarcia@yahoo.com or call 202-7703. The book is also available online at WestBow Press, Barnes and Noble, and Amazon. I also have a Facebook page called, "God's Great Big Love." God has truly blessed me with a gift and passion for art. My goal is to fulfill this gift by designing and creating art for everyone to enjoy. Trouvés Body: Natural luxury body and home products. Body butter, soy candles.